The lamp was created as part of an art and design contest for a local home and building recycling yard. 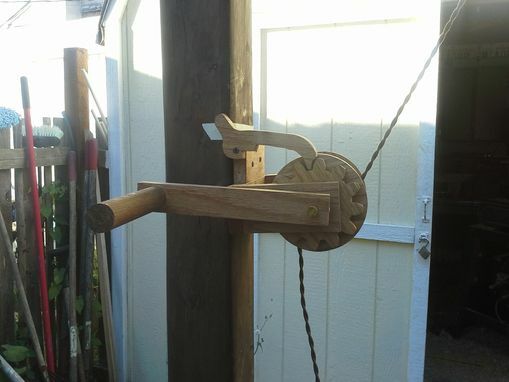 The contest involved taking at least one salvaged support brace from an old shipping crate and incorporating it into either a functional design piece or a sculpture. 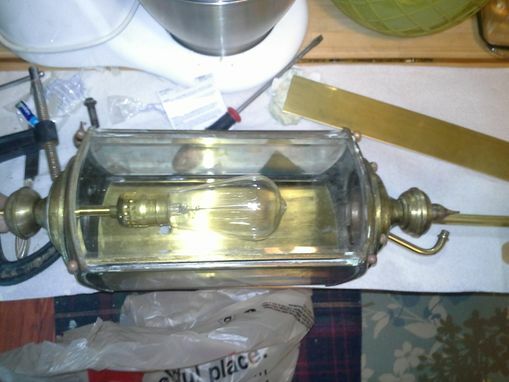 The lamp itself is solid brass and has been converted from a wall lamp to a hanging lamp with all new cloth covered wiring. 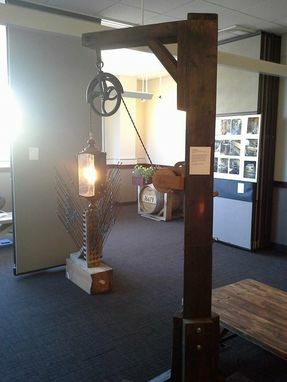 The pulley mount and legs of the lamp post are made from the salvaged crate brackets. The pulley supporting the lamp is an antique salvaged from a farm in California which has been refurbished into working condition and finished with wax to protect the patina. 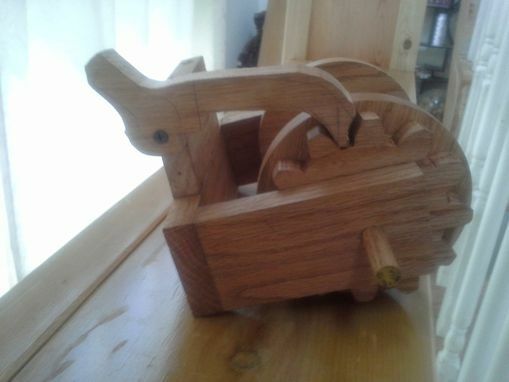 To adjust the lamp up and down a wooden hand crank was made from solid oak using a hand cut gear and ratcheting mechanism. Aside from the wiring nearly every part of this lamp is made of salvaged materials.